DOVE ALIGHT paperback available May 23, 2017! 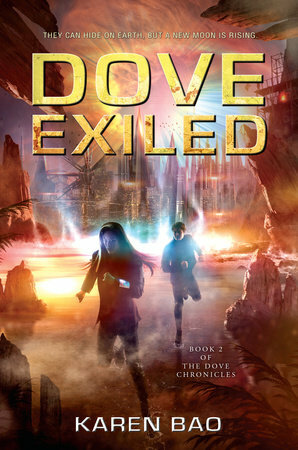 The action-packed finale of this explosive sci-fi series for fans of Ender’s Game and Star Wars. Shy, introverted Phaet Theta has gone from being a top student to an interplanetary fugitive to the reluctant but fierce leader of a revolution. With the Earthbound on their side, she and her friends finally have a chance at toppling the evil leaders who’ve held the Moon captive for decades. But as the death tolls rise, the cost of the war weighs heavily on Phaet, even as she’s forced to lead her siblings and Wes, the love of her life, into terrible danger. Phaet started this war because she lost someone she loved. Will she have to lose another to end it?